Architects and architecture students are always looking for someone to critique their work. The more feedback you get during your design process the better your overall project will be at the end. 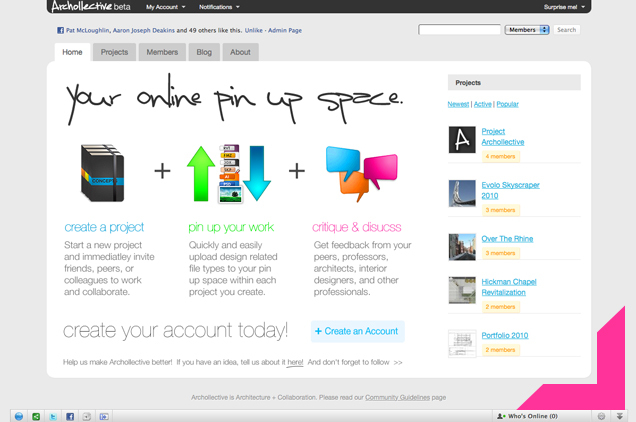 Archollective is a new site to give designers additional feedback when working on their architecture project. This web application gives you the option to critique other people’s work or upload your own projects and start receiving feedback from the rest of the community.